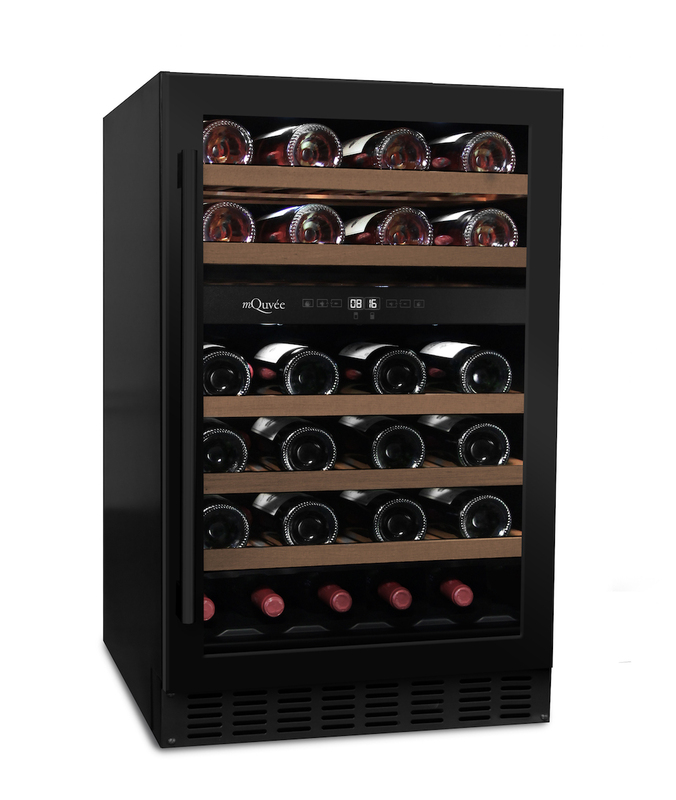 Highly affordable wine fridge, a lot of product for your buck! Highly recommended. 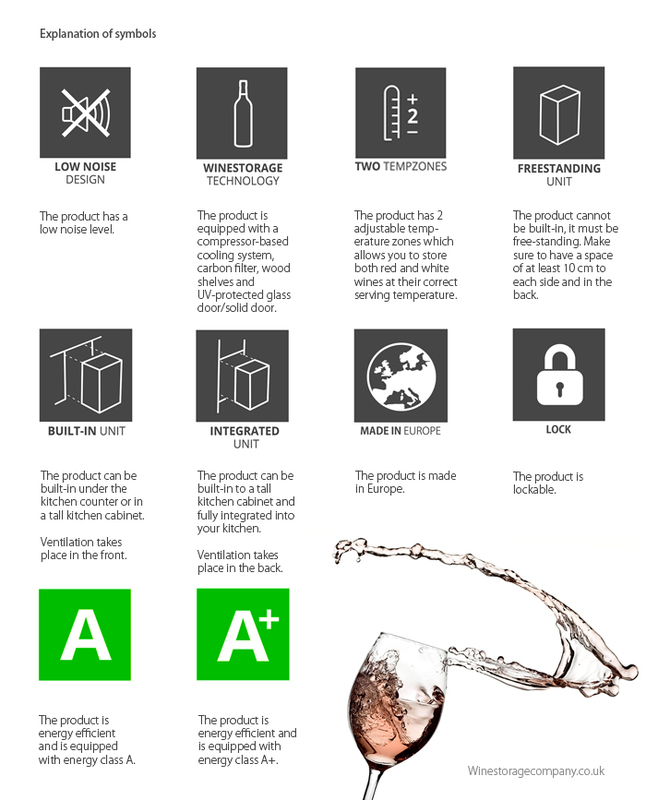 A timeless wine cooler from mQuvée with a width of 50 cm, making it completely unique on the market. 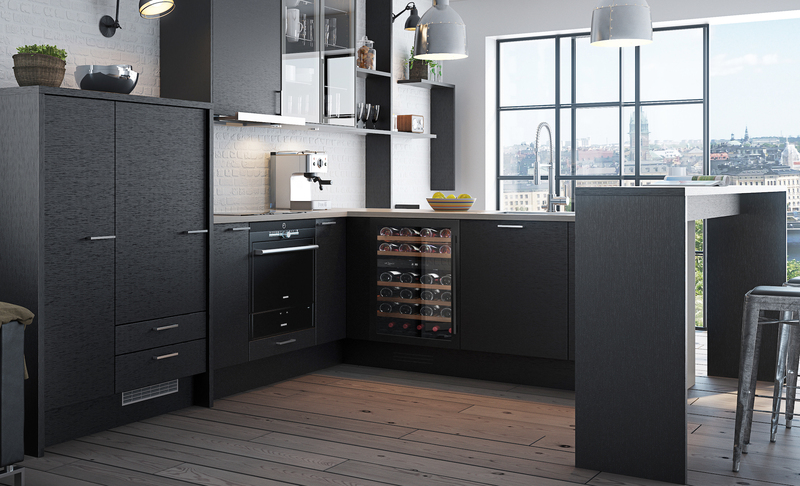 Perfect for building in under the kitchen counter, as well as stand-alone. With a sleek look and classic wooden shelves, you have an exquisite feature in your home. 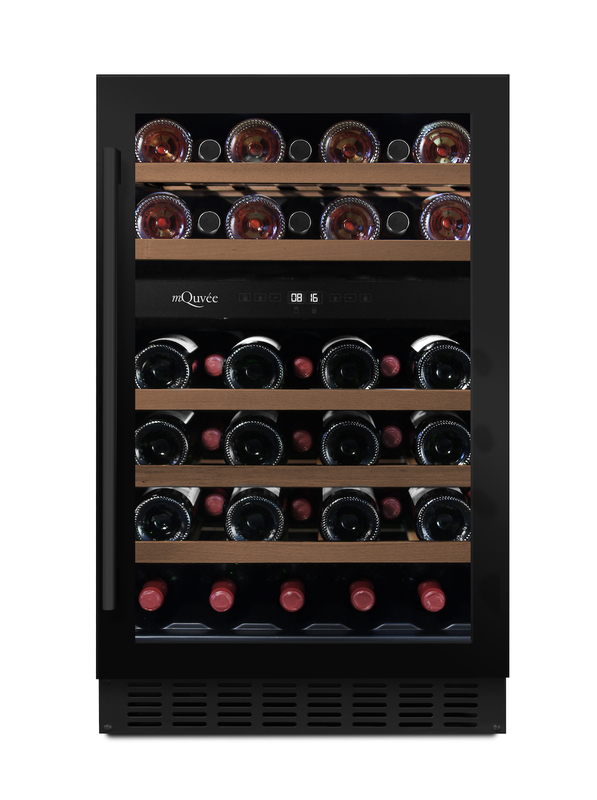 Place your wine bottles in the wine cooler and store them in style! 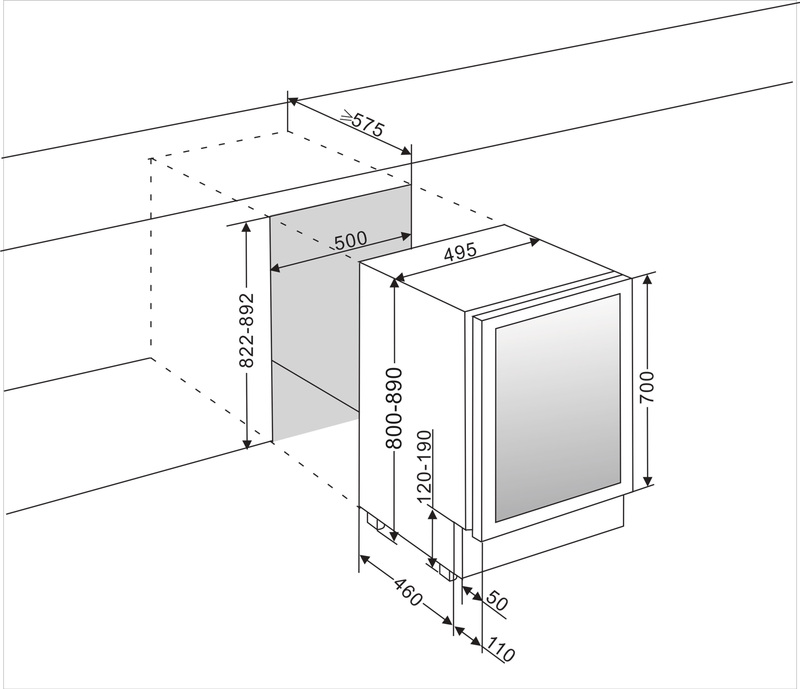 * Standard height is 800-870 mm. 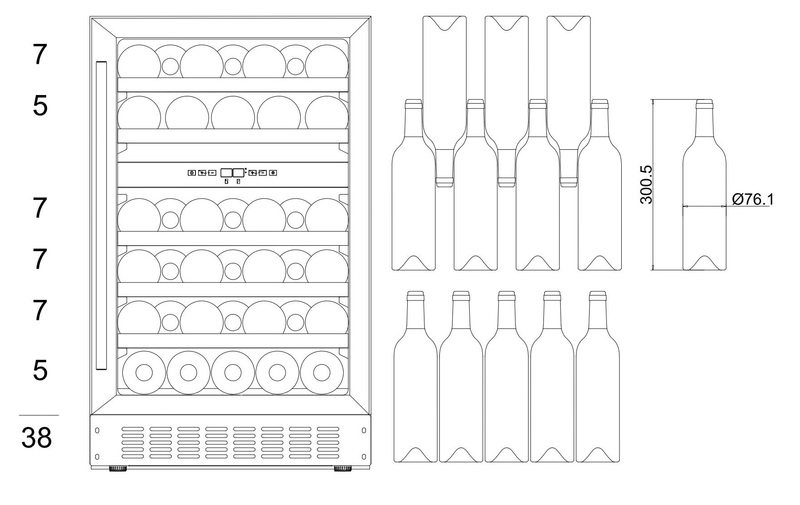 With mQuvée's telescopic feet, you can elevate the wine cooler up to 930 mm. Order your telescopic feet here.